Alethea is a free polarized resume template, with a white half part and a dark blue one. 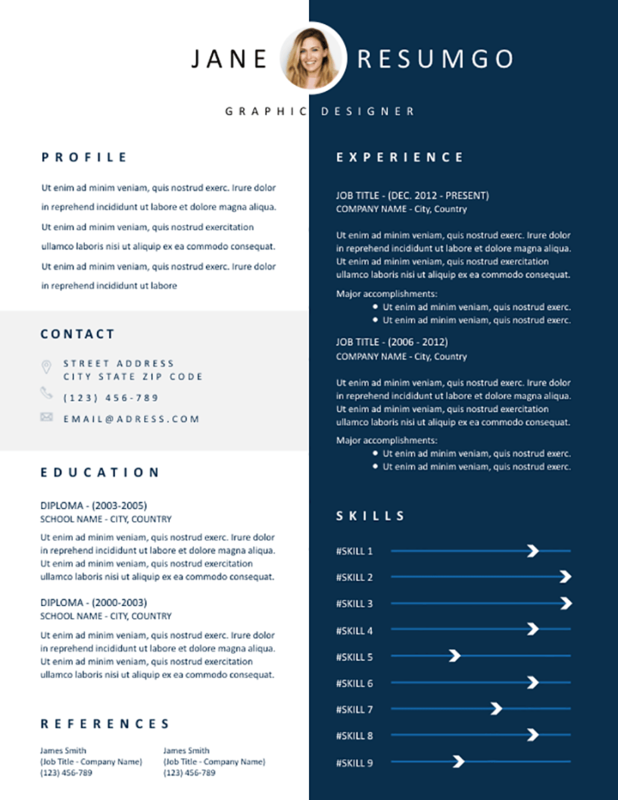 Perfectly well-balanced CV layout, with the left (white) part for your profile/objectives statement, contact information, education and references. The right (dark blue) part is dedicated to your professional experience and skills. Just adjust the horizontal slider arrows to indicate your level of expertise for each of them.